Due to the complexity of ecological compensation standards and methods, some problems cannot be expected before compensation, but the evaluation of eco-compensation effect can feedback the implementation effect of eco-compensation policies and provide reference for the improvement of eco-compensation policies. 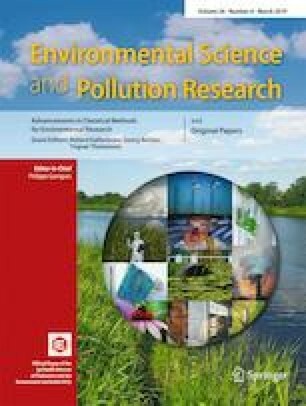 This paper constructed a comprehensive evaluation index system of eco-compensation, which covered social and economic development, pollution discharge and monitoring, and pollution treatment aspects. An eco-compensation comprehensive evaluation model was established, which consisted of the projection pursuit model (PP model) and the chaotic particle swarm optimization algorithm (CPSO algorithm). The Xiaohong River Basin in China was selected as a case study. Before and after the implementation of eco-compensation policy, the compensation effects in the four counties in the basin from 2008 to 2015 were evaluated. The results showed that through the implementation of the basin eco-compensation policies, the comprehensive indicators in the four counties showed an upward trend, which indicated that the eco-compensation of the basin had achieved certain effects. Among them, Xincai was the best, and could provide reference for other counties. The research results can provide new ideas and new methods for the evaluation of eco-compensation effects. We would like to thank the Zhumadian Water Conservancy Bureau and Statistics Bureau for access to data. This research was supported by the National Natural Science Foundation of China (Grant Nos. 51809239 and 51879241) and the National Key Research and Development Program of China (No. 2018YFC0407405).